Martino Home Improvements offers affordable, efficient vinyl siding installation or repairs, helping Detroit families protect and enhance their homes. Our products also come with a warranty, ensuring full protection or a refund. You can be confident that your home’s exterior will remain in good condition for years to come! Our industry-leading siding products are designed for beauty and durability. Upgrade your property with new siding from Martino! James Hardie siding is the industry leader with their fiber cement siding. 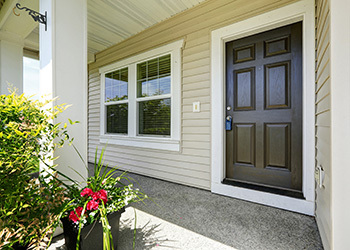 They provide a high durability siding with low maintenance that can be customized for a lot of unique looks. From the staggered Hardieshingle® siding to their Artisan® Collection lap siding, James Hardie has established themselves as the top high-end siding manufacturer. James Hardie products are specially engineered to stand up to the cold Michigan winters and humid Michigan summers. They will look great for years, potentially saving you time and money. Martino Home Improvements is a James Hardie Siding Preferred Contractor. For more information, check out our James Hardie Siding page. Martino Home Improvements installs vinyl siding from Mastic, one of the most trusted brands on the market. Insulated Siding: Ideal for those looking to save money and the environment, this siding reduces the amount of heat that moves in or out of the building, improving energy efficiency. Vertical Siding: Employing a vertical arrangement of lines, this product is suited to porch walls, doorways, and other low areas. Lap Siding: Available in a wide range of colors and textures, this is one of the easiest materials to install, allowing you to quickly embellish your home. Vinyl siding from Mastic is highly durable, able to resist harsh weather, heat changes, and long-term wear and tear. It is impervious to insects, does not need repainting, and helps to defend the your property’s underlying structure! 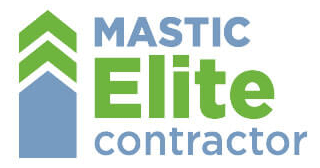 Mastic has awarded Martino Home Improvements with their top honor, the Elite Contractor status. We achieved this status because of our excellent ratings and reviews, quality craftsmanship, professionalism, vinyl siding experience and having all required licenses and insurance. Mastic Vinyl Siding is backed by one of the strongest and most comprehensive warranties in the siding industry. Martino Home Improvements understands replacing your siding is something that you will have to live with for years. Making the wrong choice or not having it installed to perfect standards can cost you a fortune in time, money, energy and frustration. Trust the professionals at Martino Home Improvement to install your new siding perfectly to manufacturers’ specs or better. Mastic Vinyl Siding will never crack, split, dent, divet, splinter or blow off. Reinforced Vinyl Siding provides all of the advantages of modern technology and innovative design: tight panel design, eye-popping curb appeal and a wide choice of colors and design options. There’s good reasoning as to why vinyl siding is the most popular choice for remodeling or new construction, even historic renovation. It delivers the warm, quality appearance of wood without the costly, time-consuming maintenance and repairs. Vinyl won’t split, peel or rot, and because its color goes clear through the panel, it never needs to be scraped, stained or painted. Mastic Vinyl siding is manufactured with proprietary designs and ingredients to deliver greater durability, rigidity and wind resistance. It also comes in more attractive, fade-resistant colors, more authentic touches and historical details. Also, it’s virtually maintenance free; all you need is a garden hose and some water! Does Your Siding Look Dingy, Damaged or Need Replacing? As durable as vinyl siding is, time and decay do eventually require repairs, of which Martino Home Improvements is happy to make. Our siding repair and installation team works efficiently, minimizing the time and cost of fixing the siding. We can restore the house’s original appearance or give it a bold new look that bolsters its value and beauty. As a committed siding contractor, we are always ready to make repairs and will quickly respond to damage from any source. Martino Home Improvement can improve your home’s curb appeal efficiency with new siding, gutters and windows. We proudly install Mastic Home Exterior Vinyl Siding Systems by Ply Gem and James Hardie Siding. Whether you require exceptional appearance and the highest level of quality or if you’re looking for value without compromise, there’s a siding system within our extensive selection to meet your needs… PERFECTLY!